We always put patients in charge of their care. That's the model at Cancer Treatment Centers of America® . Our job as physicians and caregivers is to provide patients with all the information about different options of treatment and encourage them to choose what’s best for them. A graduate of the University of Mumbai, India, Dr. Pankaj Vashi completed a residency program in internal medicine at Michigan State University and a fellowship in gastroenterology at the University of Michigan. Two years after joining Cancer Treatment Centers of America ® (CTCA) in 1992, he started the first nutrition and metabolic support program at our Chicago hospital in Zion, Illinois. Over the next 20 years, he was instrumental in developing robust gastroenterology and nutrition and metabolic support programs in all five CTCA® centers. Most of Dr. Vashi’s early research focused on the field of nutritional evaluation and early detection of malnutrition in oncology patients using subjective global assessment and bioelectrical impedance phase angle analysis. Today, he serves as Chair of the Department of Medicine at CTCA and Medical Director of Gastroenterology/Nutrition & Metabolic Support at CTCA Chicago. Over the past decade, he has presented his work at multiple Clinical Nutrition Week meetings in oral and poster presentations. He has also participated in symposiums and round-table sessions. He has a special interest in the role of vitamin D in different cancer types. Some of this work has been presented at the Society of Integrated Oncology and published in peer-reviewed journals. Studies on the impact of nutritional interventions on quality of life and better outcomes in advanced pancreatic cancer patients have recently been presented at international meetings and published in peer-review journals. 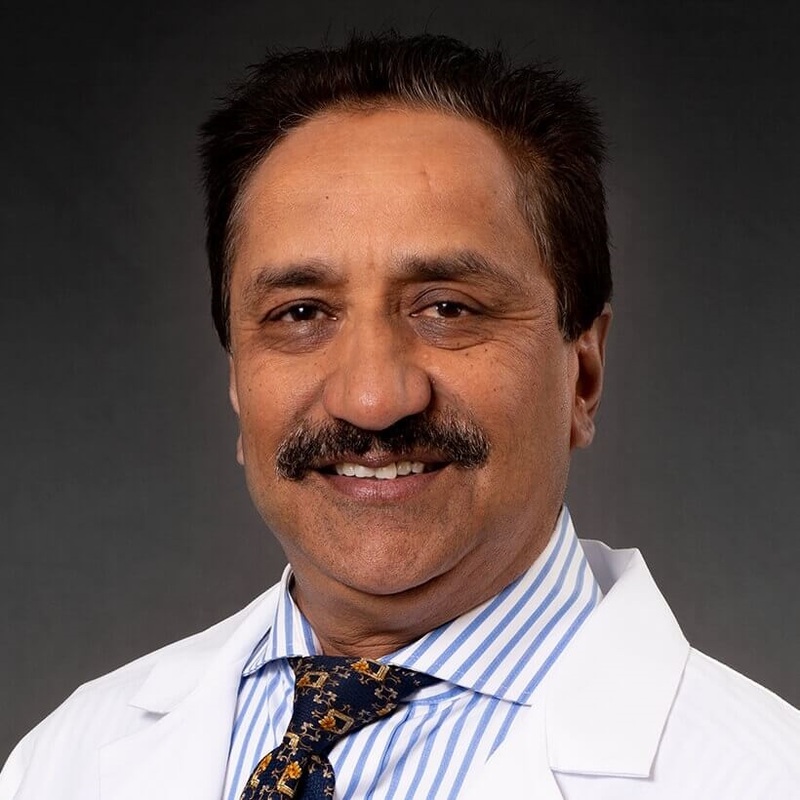 A member of the Society of Integrative Oncology (SIO), the American Society for Parenteral and Enteral Nutrition (ASPEN), the American Gastroenterology Association (AGA) and the American Society of Clinical Oncology (ASCO), Dr. Vashi is well respected in the field of nutrition in oncology. He serves on the Scientific Advisory Board of Home Enteral and Parenteral Nutrition and on the editorial board for Nutrition Journal, Scientific World Journal and Advances in Epidemiology. He is an active contributor to the Becker’s weekly review in Gastroenterology. Recently, he has become a Fellow of the American Gastroenterology Association as well as Fellow of ASPEN. He is also on the abstract review board for Clinical Nutrition Week, the largest Annual International Nutrition Conference.